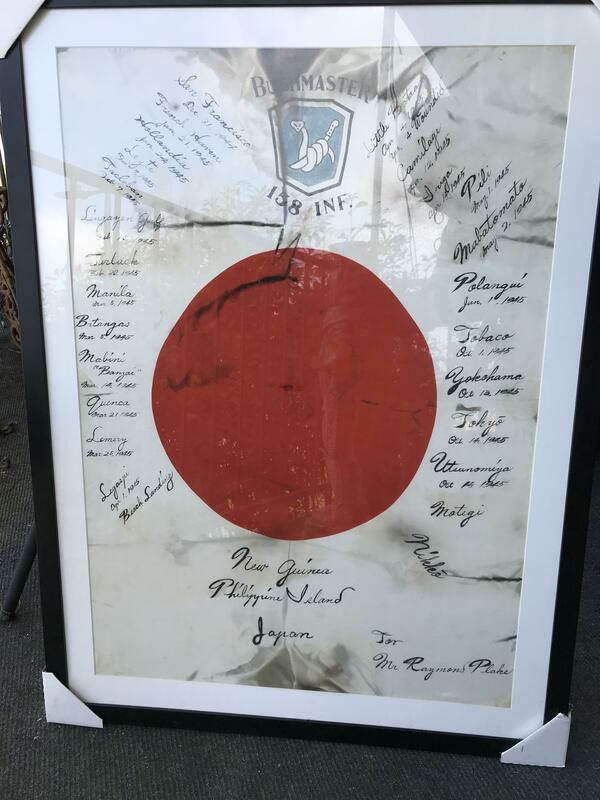 WWII Japanese Flag, 158th Infantry Regiment "Bushmasters"
I found this framed flag at my father's house. He doesn't remember when or where he purchased it, but it has been professionally framed and is in good condition. The flag appears to record the places and dates the "Bushmasters" 158th Infantry Regiment went during their WWII deployment.